Let’s be honest: we all crave sales. No matter what your business is, you want to stay one step ahead of your competitors and boost sales. But the days when you could simply launch an advertising campaign to attract new customers are long gone. 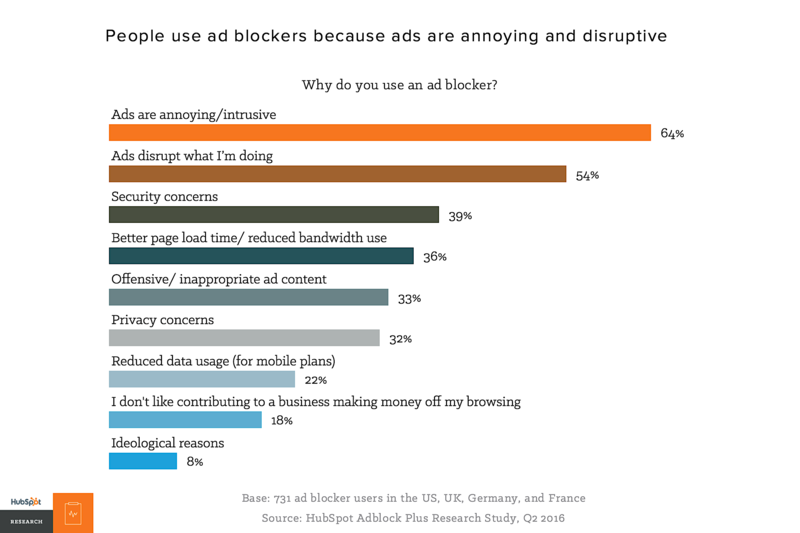 Traditional online advertising doesn’t work anymore: according to HubSpot, 64% of people who use an ad blocker do so because they find ads annoying. Customers are overwhelmed with the amount of branded information they receive daily, so it’s important to find alternative ways to promote your product. Thus, you should keep an eye on marketing trends to deliver the brand message. The solution? Ephemeral content! Even though this type of content disappears in 24 hours, it has become a powerful marketing strategy. These days, many social media platforms (Facebook, Snapchat, Instagram) offer an opportunity to share impermanent content. However, Instagram has become the main platform for its creation – from stories to live stream, users can create various kinds of transient content, and they like it! Why Do Instagrammers Love Ephemeral Content? It helps beat the Instagram algorithm. In March 2016, Instagram changed its algorithm, pivoting away from the chronological order. The app shows users relevant content they may find more interesting. It’s estimated that only 10% of your audience is actually seeing your posts and although that means trouble for marketers, ephemeral content helps your get seen because it appears in a separate, in-app feed and won’t get buried in the news feed. It helps leverage inherent urgency. 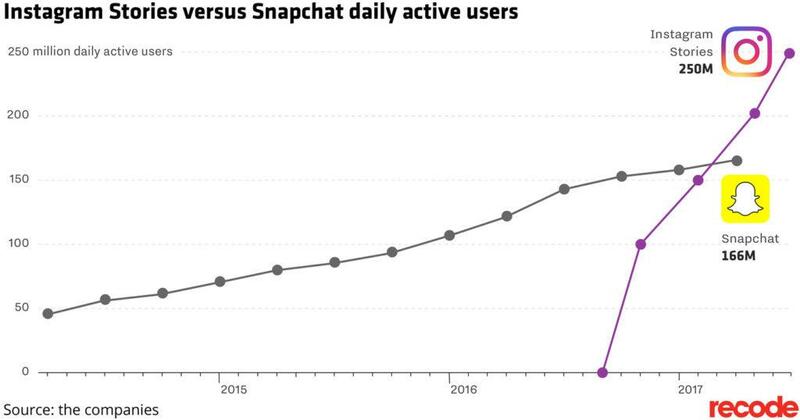 Ephemeral content lasts for 24 hours only, so it provides an FOMO (fear of missing out) effect: people watch Instagram stories and join live streams because they don’t want to miss something important. It helps you avoid over-posting. The best part about ephemeral content is that it allows people to share a lot without creating over-posting fatigue for your followers. Marketers can share things like behind-the-scenes moments and other soft-sell stories, and the short-lived content helps your brand stay fresh. For these reasons, ephemeral content helps marketers make the most out of social media marketing. Want to know the best part? Ephemeral content can be a key to turning Instagram followers into paying customers, and help bring your business to the new level. More and more Instagrammers upload and watch stories daily. Because Instagram Stories disappear after 24 hours, people have become less picky about this content as it won’t appear on the profile grid. First things first: Why should companies care about investing a large amount of time on content that will disappear? Although they last only 24 hours, Instagram stories have many benefits. In fact, they have encouraged users to spend more time watching content, thus increasing the amount of time on the platform to 32 minutes a day if you’re under 25 years of age and 24 minutes a day for those over 25. 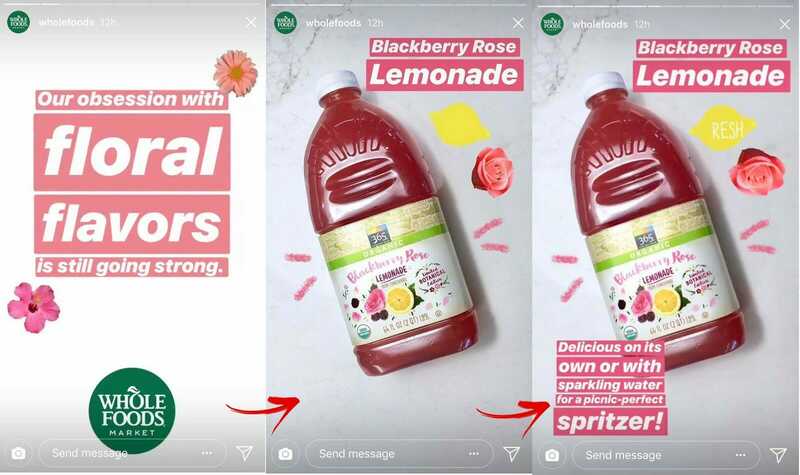 While it’s easy to miss a post from a follower, you’re less likely to miss Instagram stories that pop up at the top of your Instagram feed surrounded by a pink/yellow circle. Therefore, Instagrammers watch stories more often than scrolling through the main feed. This is a good way to beat the Instagram algorithm and deliver your brand message. For example, you can promote your product/service or show behind-the-scenes moments without annoying followers. Moreover, by adding location tags, your story can attract new potential customers who are interested in your geographical location. Thus, you need to do your best to help potential customers find out more about your product. The trick is to add clickable story links. To begin with, numbers matter. To get a link feature in your IG story, you need to have at least 10k followers on your business account. Once your following is big enough, you can add story links, and therefore get more website visitors. This will not only drive more Instagram traffic to your website, but can turn your followers into customers. Because Instagram stories are only up to 15 seconds long, Instagrammers have to decide fast whether they want to visit your website. For instance, J.Crew takes advantage of the impulse buy trigger and uses the disappearing format to drive people to a purchase page. At the end of last year, Instagram rolled out a new feature called Stories Highlights that allows users to save and keep stories for more than 24 hours. It gives an opportunity for marketers to combine different stories into albums and make ephemeral content long-term so that your audience can view it whenever they want to. And it is you who chooses which stories to save and display under your bio. Every time you upload Instagram Stories, they are automatically saved to your Archive unless you want to delete them. Then you can select which stories you want to add to Stories Highlights and make them appear on your profile. You can create albums and group stories the way you want, which is beneficial for businesses. Although users like watching Instagram stories, they may miss something important. When you create Stories Highlights, you allow your followers and visitors to learn more about your brand. 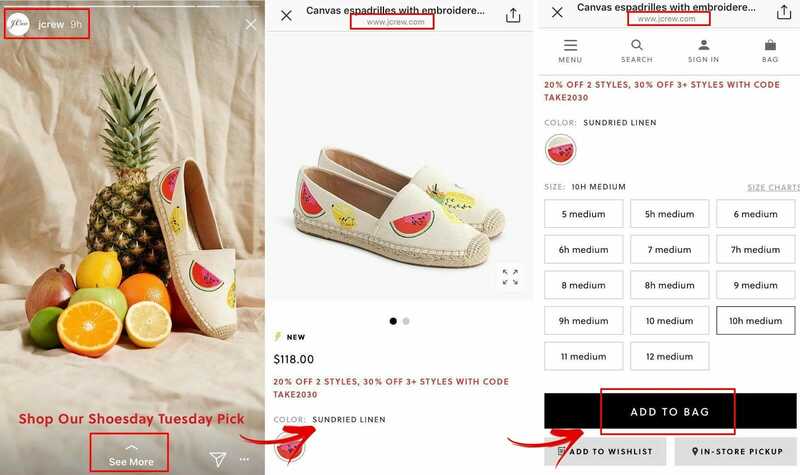 Because Stories Highlights appear on the top of your profile, Instagrammers don’t need to scroll endlessly through your feed to find something that may interest them: all your products and offers are in one place. Let’s take a look at Sephora. This brand uses Stories Highlights to show off their products. For example, if you want to learn more about foundations they offer, you can tap on the highlight and see all offers. Plus, they add a clickable link which makes it faster to see the descriptions and prices. Grouping your stories into separate circles helps your visitors learn more about your brand and product without wasting time. Thus, it helps turn engaged visitors into loyal customers. Live stream is a proven way to connect with followers in an authentic way. Video has become a crucial feature of the social media experience and according to Livestream, 82% of people prefer live video from a brand over social posts. 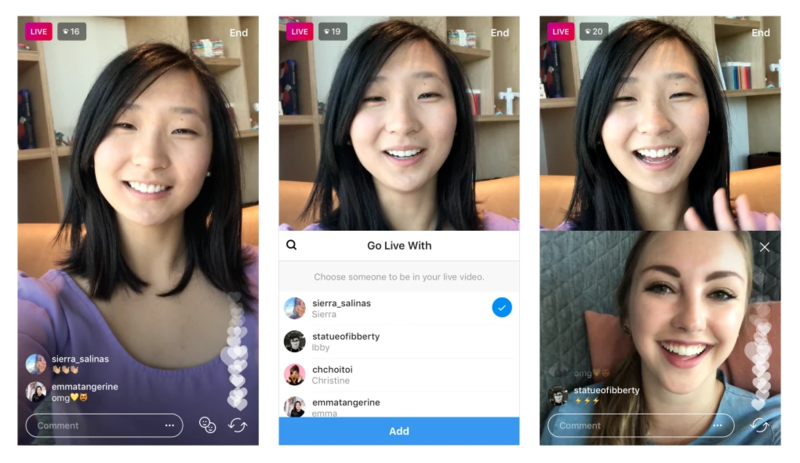 Video marketing is booming and Instagram Live is a trend that attracts many users as it offers urgent, interactive, and unique content. For brands, it provides many marketing opportunities because you can show off your product in a way that speaks to your followers and hook potential buyers. 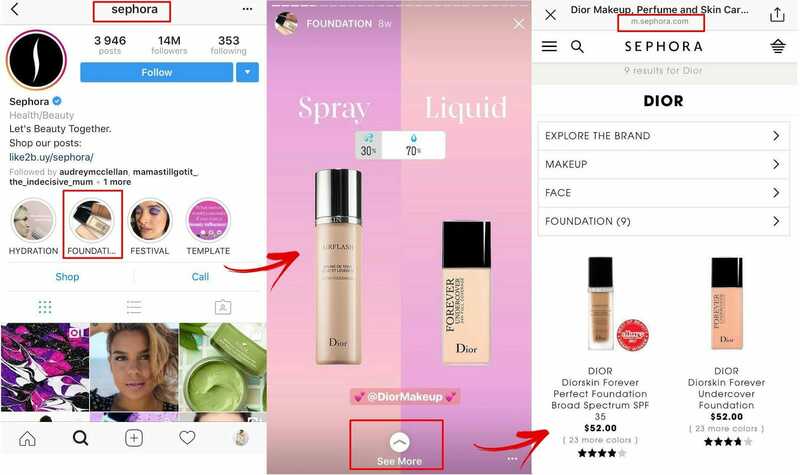 Product launch: If your Instagram followers are interested in your brand, it’s likely that they will love the idea of being the first to see your new release. Moreover, offering an exclusive discount for viewers is a perfect way to build buzz around your new product and boost sales. Behind-the-scenes moments: When you take your followers behind the scenes, you humanize your company. No matter what type of “backstage” content you create (team building, progress, funny or personal), it’s a great way to nurture a deep connection with your followers and gain trust. Showcase events: Integrating online and offline events helps followers experience the occasion. When you include your customers in your events, even if virtually, you build loyalty to your brand. Online tutorials: Vlogging has become more and more popular, and online tutorials are among the most-viewed content. When you broadcast a tutorial or webinar, you give your followers something useful, and as an expert in the niche, you know better than anyone what you can teach people. Q&As: On the Internet, customers can’t touch a product before they buy it, so they might have a lot of questions. When you organize Q&As sessions, you encourage potential customers to ask whatever they want about your product, and therefore show that you care by helping them out. Another good thing is that you can go live with a guest which means collaborating with influential people to gain trust. The power of influencer marketing is booming, so you can find influencers on Instagram to join you while you’re broadcasting. When you invite an influencer to live stream with you, it helps your followers engage with a reputable thought leader. Collaborative live streams help show the human side of your company and build a connection between brands, influencers, and customers. When you go live, you invest in relationships with your audience, which helps you come across as an authentic brand. 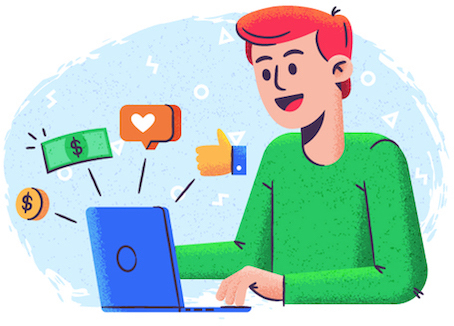 Thus, it allows you to turn followers into customers, especially if you provide viewers with time-sensitive offers that help them get your product with a discount. Post regularly. Ephemeral content disappears within 24 hours, so don’t be afraid of overposting. While there’s no perfect formula on how many times to post Instagram stories, Neil Patel claims that posting frequency is not all that important for your Instagram marketing. Instead, what you should focus on is consistency and quality. Bring value. Instagram rolls out handy features that help marketers make the most out of ephemeral content (Stories Highlights, clickable links, etc.). Thus, when posting ephemeral content, think about the value you can offer your followers. It’s a good idea to show off your product from different angles (and always use high-quality images), grouped into specific albums, or with live stream video. 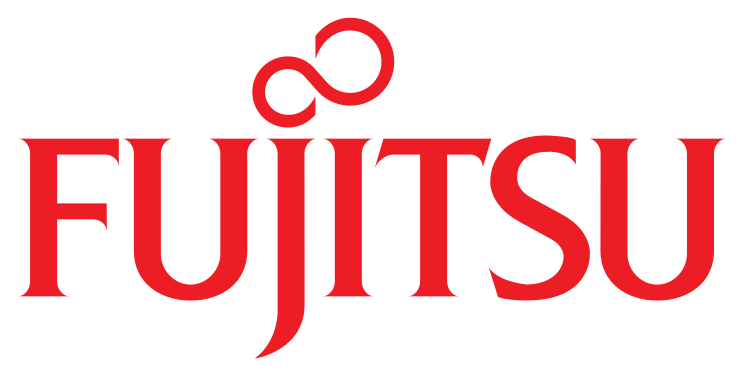 Humanize your brand. Taking your followers behind the scenes to let them see the real you helps you build brand trust. A person who trusts and likes a company is a loyal customer and brand advocate. Ephemeral content is not just a buzzworthy trend; it’s a powerful method that helps to turn Instagram followers into customers.